Does the US Government/Military have a Sasquatch? Probably. Does the US Government/Military have a Sasquatch or two on ice or alive in captivity? Yes, according to the rumor mill. 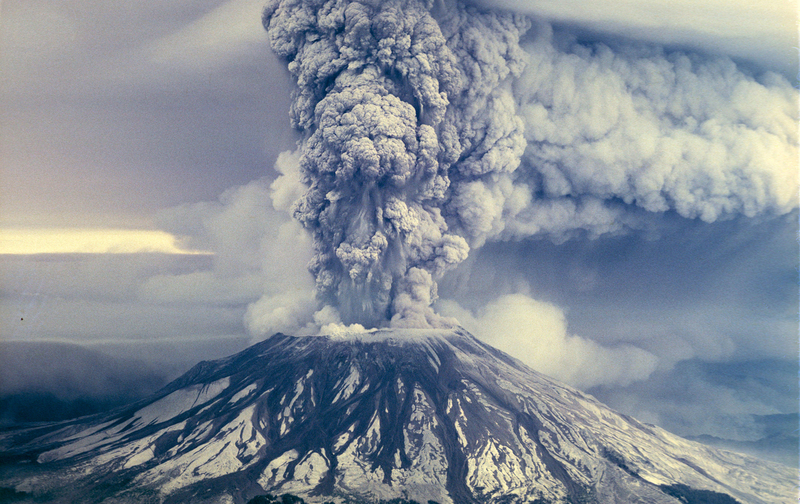 On May 1980, Mount St. Helens erupted, and the loss of life to both people and the wild animal population was considerable. There are claims that several Bigfoot bodies (some believed to be alive still, but injured) were whisked away to a secret military/government facility. You hear stories like this all the time regarding crashed UFOs and Alien bodies. So why not Bigfoot too when a disaster like this happens? 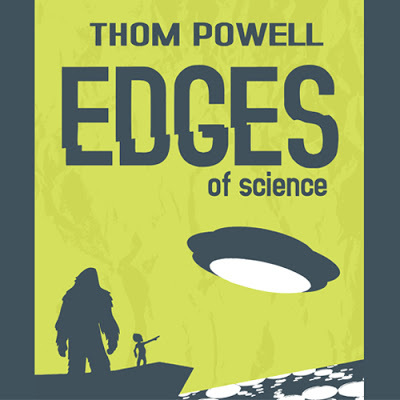 In the late 90's early 2000's, a science teacher named Thom Powell picked up on a story by an anonymous government employee who alerted the Bigfoot Field Research Organization (BFRO) about a 7.5 feet long/tall burn victim with "multiple burns on hands, feet, legs and body; some 2nd and 3rd degree burns". According to the story, on August 6, 1999, Battle Mountain, Nevada, exploded into several simultaneous range fires in what would be known as the Battle Mountain Complex Fire. A Bigfoot was hurt in the fire according to an anonymous government employee. The story was later dismissed but the acclaimed author and science teacher believe it really happened and that the whole story was an elaborate cover-up. It has been years since the story broke and still no one has come forward to claim it actually happened-- until now. Running a Bigfoot blog, we get some strange emails every once in a while. This morning, we received an email from someone who claims to be a former National Guardsman, saying he was there and he saw the Bigfoots. This person gives a detail account of the experience that he and four other guardsmen had with the creature and all were told to keep quiet about it. I was reading some of the stories about Mt. Saint Helen on the message boards and wanted to share this one. I only ask that you withhold my name. I was a National Guardsman at the Mount Saint Helen site and this is the first time I have ever spoken about what I saw firsthand. I lived in Spokane, Washington and was 24 at the time this all took place. I have read some of the other stories and they only tell part of the story. I was placed on a special cleanup crew farther up the mountain. A large tent was set up and it was be guarded by armed soldiers who were not part of the guard. There were numerous soldiers on the scene that were not members of the guard. We were given a briefing by soldier who said that “after he spoke to us, we would forget about him and what he said at the end of the mission”. This was strange as we never dealt with anything before. Myself and four other guardsmen were told to follow a group of soldiers and not to speak to each other and to remain very quiet overall. We were told to get into a jeep and wait. We sat in the jeep for maybe a half hour. Eventually another jeep arrived carrying a civilian and another member of the military. The civilian was brought into the tent and he emerged a few minutes later followed by a large hairy creature. It looked like a large man covered in fur and the best way to describe it was like “Beast” from X-Men only brown. The creature looked to have some burns and had a bandage on its arm. At first we were afraid but when it walked by we could see its eyes and it just looked very sad and somber. He climbed into the back of a pickup with the civilian and the two were speaking in a weird language I had never heard. It would cough at times. We followed the truck to different areas. There were 5 total stops. Each time we stopped we were told to follow the civilian and the creature. Each time we followed them to rocky areas where there were caves. The creature would make a sound and then listen. At the first area he made a sound and we all just waited in silence. After a few minutes, the creature looked at the civilian and then at the ground. The civilian at one point touched its shoulder and called for a canteen to give the creature a drink. The same thing happened at the next area but this time there was a response to the sound. After a few minutes two soldiers emerged from the cave carrying a badly burned creature just like the one with the civilian. The creature bent down next to it and looked it over for about five minutes. It then spoke softly with the civilian. It turned and walked back to the truck and we were told to follow as we were walking away we heard a shot and we knew it was one of the soldiers putting the creature out of its misery. There was no response at the third or fourth site but at the fifth there was another return sound to the creature. This time it was different and soldiers carried out a creature with a badly burned left leg. We were then ordered to all help get a very large stretcher from the truck and to help place the creature on it and carry it back to the truck. We then immediately returned to the base camp. The creature was carried into the tent while the other creature and the civilian spoke. We were ordered to stay in the jeep until we were to be debriefed. As the creature turned to walk into the tent it looked at us and made a waving gesture with its hand. We took it as a thank you for what we had done. By the time we were ordered out of the jeep we were all in shock. We were called over to an area to be debriefed and it was just strange. I will never forget what was said because it was just not what was expected. I thought I would hear “You took an oath and now you need to live up to it for your country with a threat also implied. A different high ranking soldier just said “look, do you all really want an explanation? You saw what we were doing. These creatures live in these areas; they mean no harm and want to be left alone. Do you really want to do anything that may cause them trouble? They are like us in a lot of ways. If you need or want to talk about this just wait about 30 years, by that time there will likely be no reason to keep them a secret”. We were then ordered back to the guard camp because “they were breaking it up so nobody saw too much and knew everything that happened”. We did not speak of it and after a few months I just took the attitude that these things live out there and honestly my life is no different because of it. I only bring it up now because people have been writing a lot about MT. Saint Helen and I believe that the whole story should be told. I will also say this. I like to camp and hike and have done so many times throughout the Northwest. Every time I would look for signs of these creatures, tracks, listen for sounds etc. I never saw or heard anything other than what I did that day on Mt. Saint Helen. Anonymous former National Guardsman claims that the Mount St Helens Bigfoot story really happened. Regarding the Mt St Helens story, it lacks accuracy in the most important details. The first being that the roads in the affected areas were impassable due to the volcanic dust, therefore they could not drive to much more than a couple of caves on the west side of the mountain, which would have been 10 miles from the affected area. The wounded Bigfoot would have had to make it that 10 miles. Although healthy Bigfoot can travel hundreds of miles rather quickly, the unhealthy ones would logically have difficult in performing the transformations that allow them to travel long distances. When they transformed back to their F&B bodies, their DNA would have had no memory of a temporary injury, so they would no longer be injured and would not require further treatment. The second suspicious detail being that the story teller failed to mention the volcanic dust which was everywhere. The third suspicious detail being that no human can speak nor understand the Sasquatch native language. They communicate with humans telepathically in the humans own language. The fourth suspicious detail is that Bigfoot have Shaman that do their healing. They don't require humans and would never allow one of their own to be "put down". The anonymous author of this suspicious story, appears to be completely unaware that Bigfoot are paranormal and that they can perform feats that are well beyond his comprehension. An interesting assessment. While I don't know very much about Bigfoot, you do make a good point regarding all of the flaws in the story. I noticed that at one point you said, "Bigfoot are paranormal and that they can perform feats that are well beyond his comprehension." Is there actual evidence that Bigfoot are paranormal, or is it still just a theory? Evidence of Bigfoot being paranormal? My own personal experiences with Bigfoot exceed 100 field experiences. Assuming that paranormal evidence is demonstrated by invisibility, shape shifting, telepathy, and loud sounds coming from a nearby location where the perpetrator cannot be seen, for instance, in virtually every experience, there was paranormal abilities that were demonstrated during the experience with another being. And I used a GEN 3 night vision device. Hundreds of other experienced researchers, have reported similar experiences. I know of one still photograph where a Bigfoot was captured in the midst of transforming into a large orb. Does that help out. An additional suspicious statement in the supposed Guardsman's story, is that he claimed to be encamped "farther up the mountain". He failed to mention that there are no roads "farther up the mountain", and that only a fool would camp on an an active volcano that could spew lava without warning with the plug in the lava tube being recently removed. The ash alone would have prevented any encampment on the mountain, since it was more than 3 feet deep. Elements of the story seem calculated to make the military (we have to assume the ones in charge were probably not National Guard) look like good guys. Y'know, "only interested in helping out their brothers, the Bigfoots..."
I was amused and not necessarily impressed.